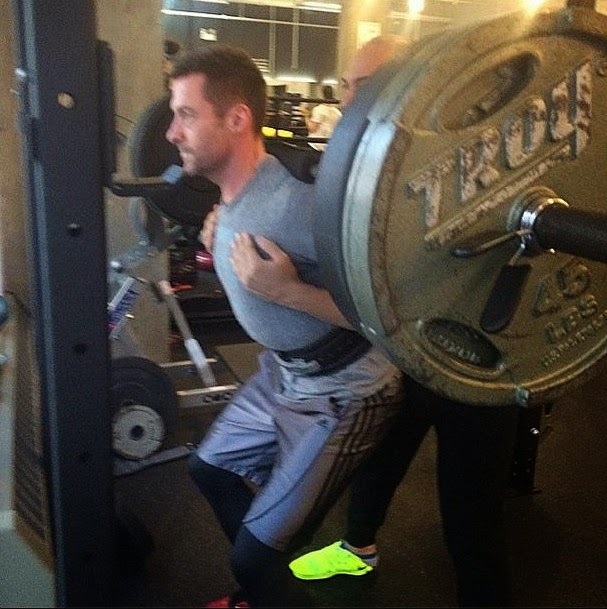 He may be a father-of-two with a busy schedule, but that hasn't stopped Hugh Jackman from squeezing in an intense workout. 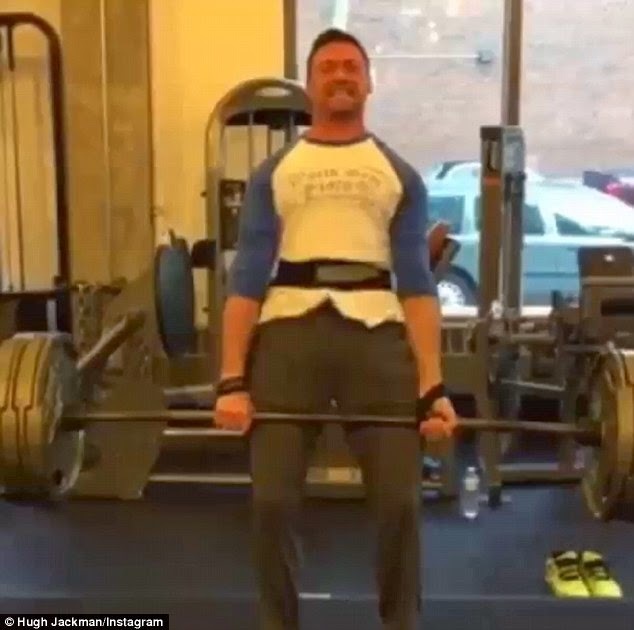 The 46-year-old Australian actor took to Instagram on Saturday to share a short video of himself lifting weights and breaking a sweat. This latest gym stint is to help the screen star prepare for his role as the famous mutant, Wolverine. 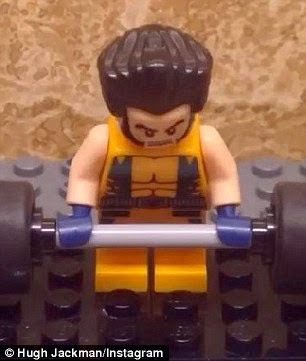 Sinking his famous adamantium claws into the role of Wolverine, Hugh headed to the gym for a weight lifting session. Dressed in a casual white and blue T-shirt and dark trousers, the Sydney-born star lifted a barbell while puffing his cheeks out in the process. Proving just how hard the exercise really is, the Emmy Award winning performer crumpled his face into an expression of discomfort. Over the past few months, Hugh has been sharing an array of snaps in the gym. He is preparing to bulk up yet again for the part of Wolverine, which requires him to be in peak condition. 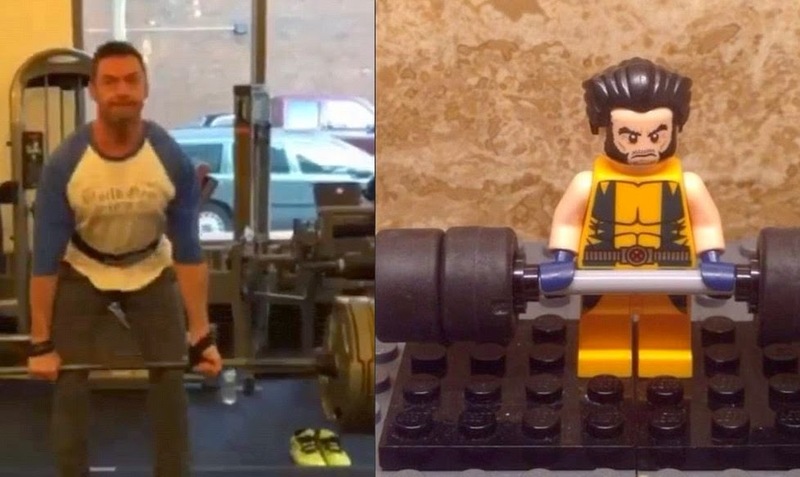 But he managed to poke fun at himself by posting a video of a Wolverine figure also lifting weights. 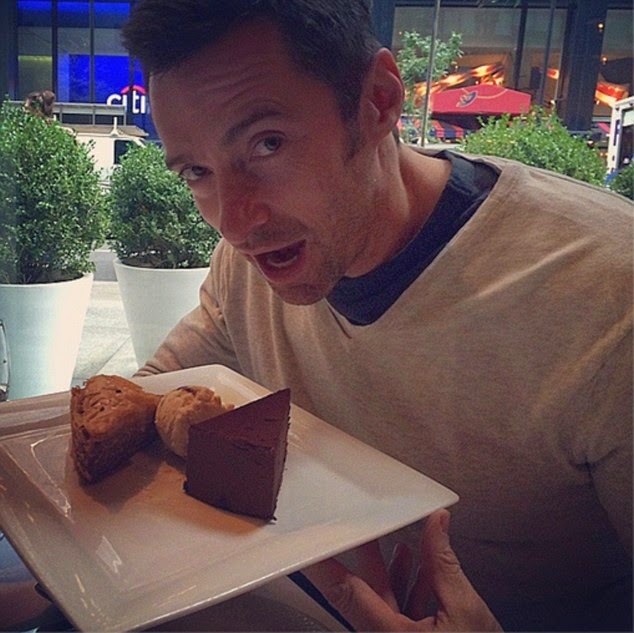 Jackman is busy in the pre-production stages on an as-yet untitled Wolverine movie with filmmaker James Mangold. The movie will hit theatres in 2017 - when Jackman is 49 - while another sequel is in the works, with a release date unannounced. X-Men: Apocalypse - believed to be the final movie in the mutant superhero series - is also set to star the Australian actor and has a 2016 release date.